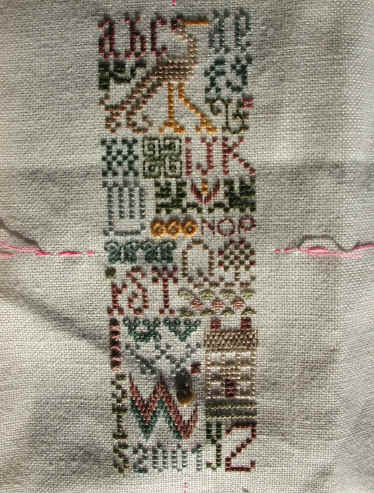 This is the Minute Sampler when I completed it in 2001. The design is by The Drawn Thread, in silk on 40 count linen. The design is about 1¼" x 4¼" in size Here is the finished clock.